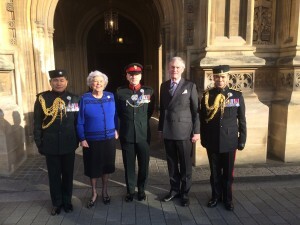 Baroness Betty Boothroyd tabled a question to the House of Lords today asking what Her Majesty’s Government planned to do in celebration of the 200th anniversary of the Gurkha Battalions. She also requested that they acknowledge the service of Gurkhas to the United Kingdom and their relationship with the British people. A full transcript of the debate is available on Hansard with a a video of the debate available here (from 14:44 onwards – some media player options allow for fast forwarding).